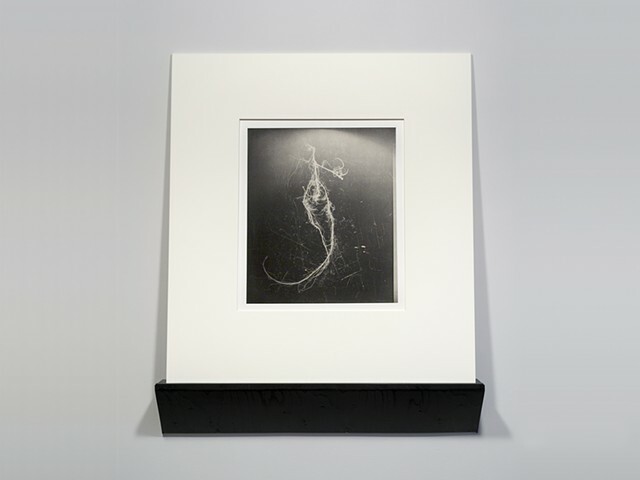 Photopolymer gravure, chine collé on rag paper, matted, with shelf. From a series of eight prints. From a dark garden comes a dark seeingthe growth of things underneath our everyday attention. Roots, dug up from the garden after a winters thaw.